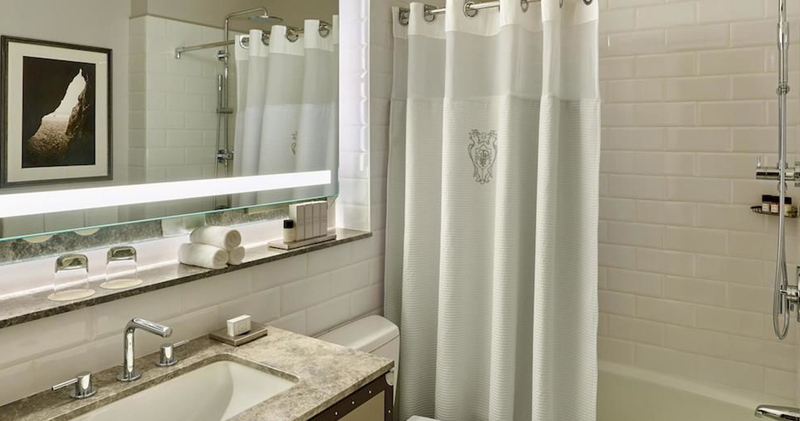 Renovated in 2015, the Palace Hotel blends authentic architecture with modern, classically inspired decor. 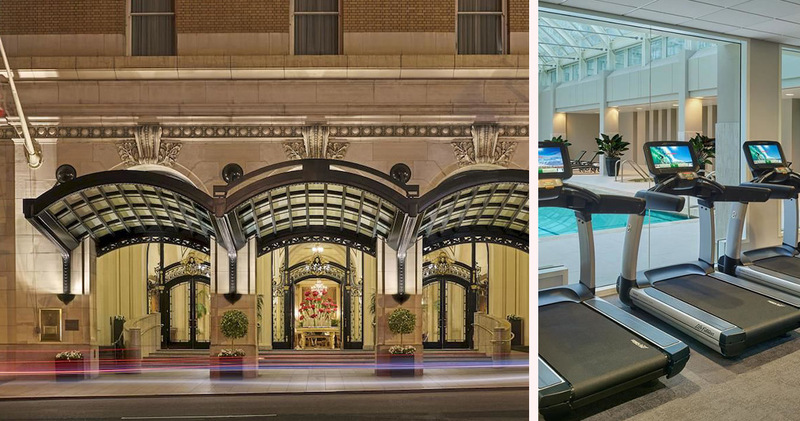 Palace Hotel is located in the heart of downtown within easy reach of Chinatown and the cable cars. Housed in an iconic building dating back to 1909, the hotel is renowned for its soaring glass dome. 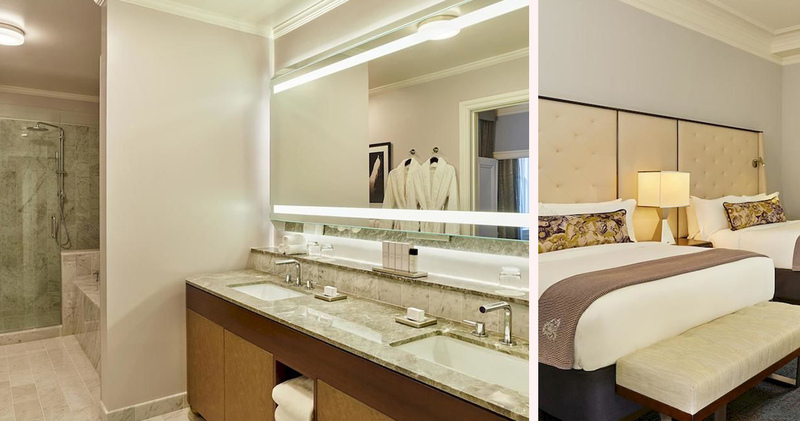 After its recent renovation, Palace San Francisco features modern decor while retaining authentic elements and original architecture. It is classically inspired and elegant, with beautiful domed ceilings, chandeliers and rich furnishings. 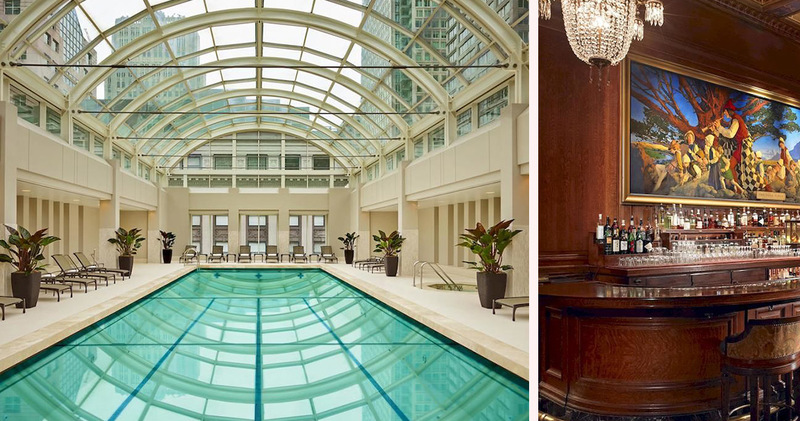 The indoor heated pool features a sky-lit ceiling, stone tiling and whirlpool. 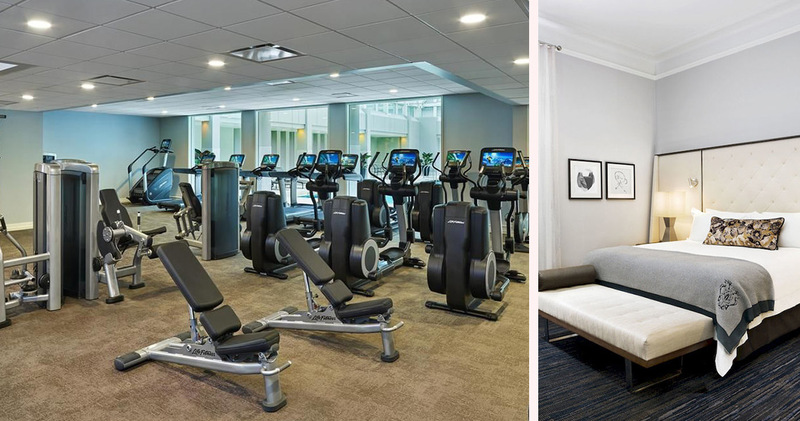 Guests can also enjoy a spot of retail, with shops like Mulholland and Ghirardelli located onsite. The hotel was added to the Trip Advisor Hall of Fame in 2015. 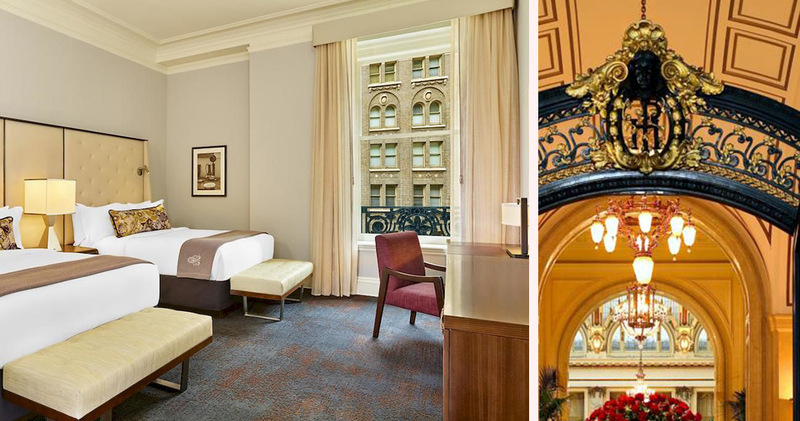 The guestrooms at San Francisco Palace Hotel are chic and stylish, with large windows and eleven-foot-high ceilings. 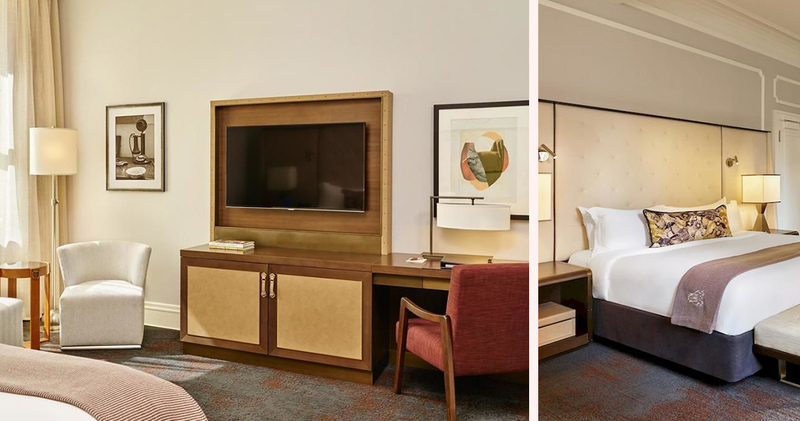 Rooms feature original solid oak doors with monogrammed knobs that date back to 1909. The color palette of grey, midnight blue and plum creates an air of serenity. The pillow top beds with tufted leather headboards are comfortable and inviting. 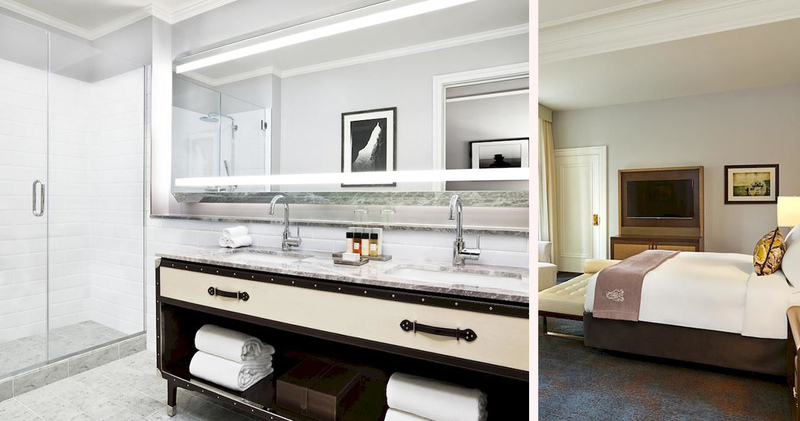 Each spacious bathroom features a marble bath, luxury collection bathrobes, Gilchrist & Soames amenities and a powerful rain shower. 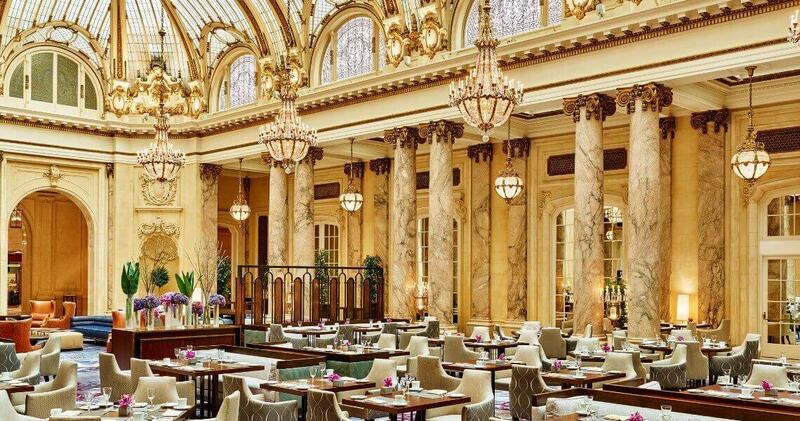 The Garden Court restaurant at the Palace Hotel features Austrian crystal chandeliers, a grand glass dome and features San Francisco inspired cuisine. The Pied Piper is another sophisticated restaurant, featuring wooden paneling and mosaic tiling. It serves classic Californian cuisine along with a selection of cocktails and wines. Be sure to enjoy Maxfield Parrish’s iconic painting titled, “The Pied Piper of Hamelin” which measures 16 feet long and weighs more than 250 pounds. The Financial District of San Francisco is a sleek, high-energy neighborhood with one of the most recognizable skylines of the country. The area is known for its skyscrapers and its collection of food trucks, small stores and restaurants that are ideal for quick lunches. Visitors based out of the Financial District will have easy access to many popular spots in the city like Market Street, Union Square, Chinatown and Embarcadero. Dine at Tadich Grill, famous for its seafood Cioppino or get a good laugh at the famous Punch Line Comedy Club. The Financial District is home to iconic attractions like the 850-foot Transamerica Pyramid building.